"This version of the classic pie has delightful hints of nutmeg, ginger, cinnamon, and cloves." Preheat oven to 450 degrees F (225 degrees C). 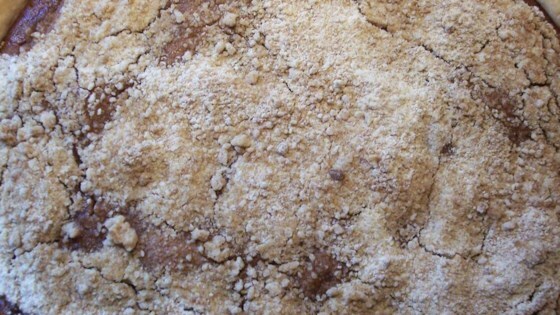 To Make Crumb Filling: In a medium bowl, combine flour and brown sugar. Mix well, then cut in shortening until mixture is crumbly. To Make Molasses Filling: In a medium bowl, combine baking soda, nutmeg, ginger, cinnamon, cloves, and salt. Mix well, then stir in molasses. Pour in hot water and mix until smooth. Sprinkle a layer of crumb filling into pastry shell. Cover with a layer of molasses filling. Alternate layers of crumb and molasses fillings, ending with crumb filling on top. Bake in preheated oven for 15 minutes. Reduce heat to 350 degrees F (175 degrees C) and bake an additional 20 minutes. This is simply the BEST Shoo-fly pie. Don't look any further! I use butter instead of shortening in the crumb mixture.